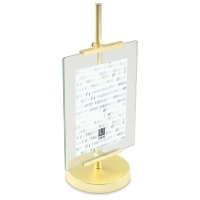 This eye-catching frame with a matte brass finish displays photos both vertically and horizontally. The artwork is captured between two panes of glass, and held together by the easel. 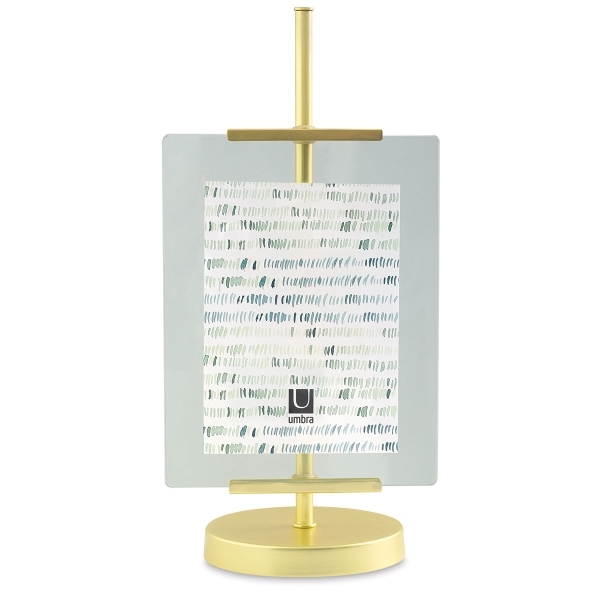 Designed to hold a 5" × 7" photo, the Umbra Easel Frame has a weighted metal base. 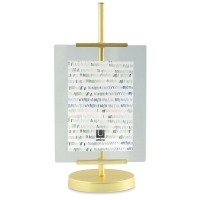 Combine several frames in horizontal and vertical configurations to create a personalized display on tables, desks, bookcases, and other surfaces.